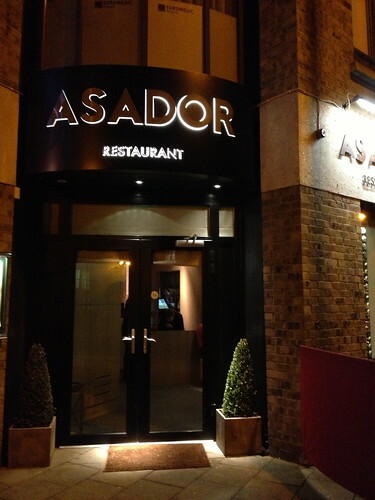 Asador is a recent addition to the Dublin dining scene having opened their doors to the public just before Chrimbo. The name of the resto refers to the name of the grill which is used to cook meat, most commonly associated with Argentinian steak restos. Sadly, Asador is not an Argentinian steak resto but just a resto which happens to use an asador to cook its meats. Nevertheless, the prospect of well-cooked meat was too good to pass up, which is how JD and I ended up having a midweek dinner there. No signs of the recession in Asador as the place was already buzzing with diners when we arrived and full shortly after we were seated! 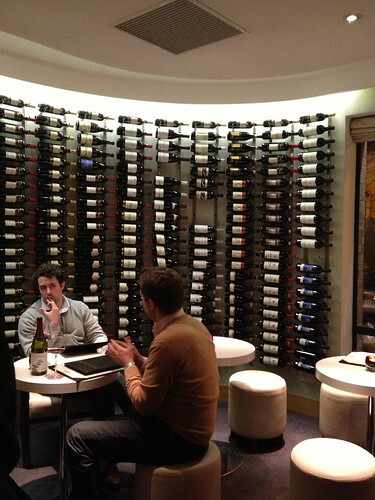 I don't usually comment much about the dining room on my blog entries but Asador really reminded me of a hotel dining room (ie. 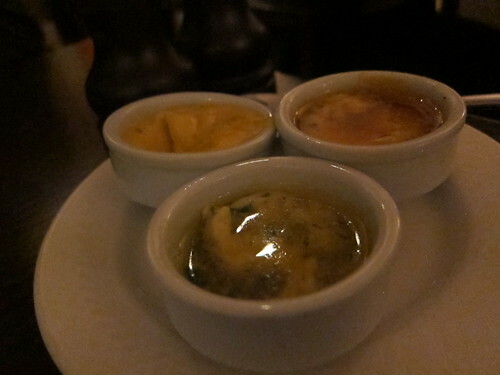 pretty dull) so I was hoping to be impressed a bit more by the food. 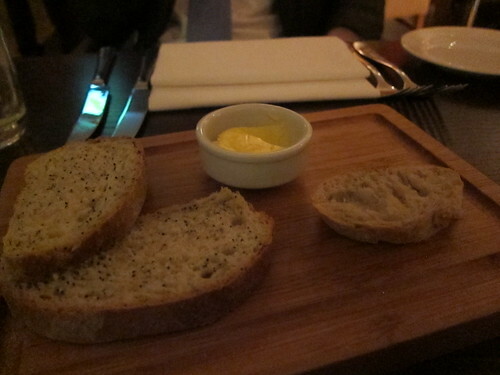 Bread (sourdough and house) - the former very nice, the latter not so much. 4 slices of bread just looks mean in any setting. The food overall was quite good. 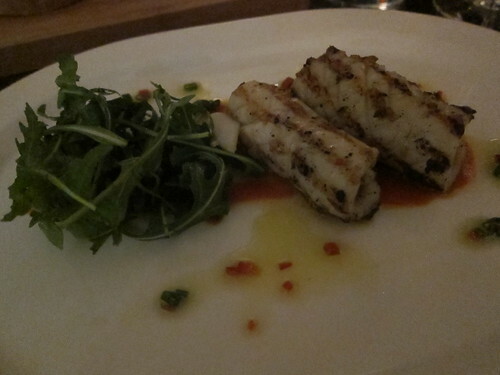 My starter of grilled calamari was delicious but I failed to identify any physical chorizo or red pepper on the plate despite it being stated on the menu. I did taste a hint of paprika and red pepper in the sauce so am guessing the ingredients were used in that. I don't have a problem with this but surely, the menu should state "chorizo and red pepper sauce" rather than "chorizo and red pepper"? 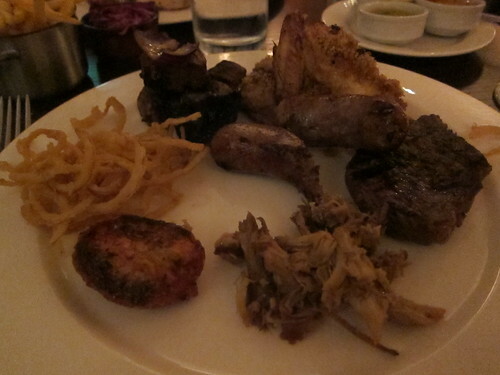 JD and I then shared the BBQ Meat Platter for 2, a feast that we were looking forward to. It was a generous platter but any enjoyment of it arriving at our table was immediately sucked away by our waiter. Firstly, he made a grand announcement telling us not to touch our plates as they were very hot (the centres of the plates were warm and the edges stone cold) and when the platter finally arrived, he then spent several minutes dividing up the platter to ensure we got equal servings of everything. Maybe its an Irish thing that platters for 2 people always need to be served individually but it goes against the very idea of a platter which is to share. My definition of sharing in this context would be for the guests to share amongst themselves in a leisurely way rather than a waiter dictating what you can and can't eat. 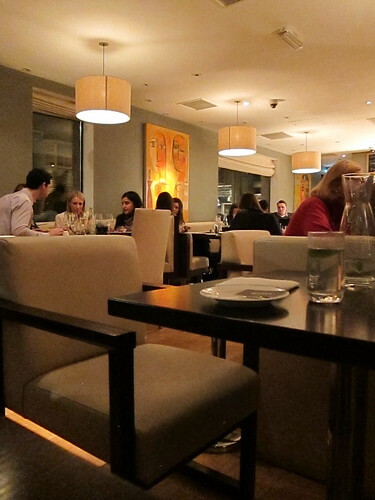 Restos should be one or the other; divvying up platters just highlights the fact that Irish people like the "idea" of sharing but in reality, want their own plate of food. Why bother really? 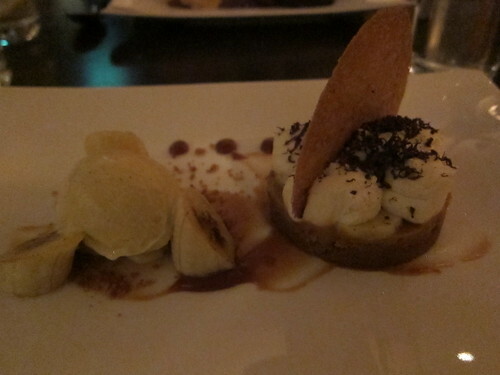 Desserts were a pleasant surprise and were to a much higher standard than others restos in the city with a higher price bracket. Overall, dinner was good but service was patchy. Our drinks were left to sit at the bar whilst 10 waiters/servers were working the floor. At one point, a waitress approached the drinks but then walked away after she realised they were not for one of her tables. Between the waiting and being able to see our drinks, we probably would've been quicker serving ourselves. I had highlighted in my blog entries of Bite and Hatch & Sons that it was highly irritating for diners to see owner/proprietors lurking around and not actually helping out with service. Well, there was definitely a bit of this happening in Asador but what was more annoying was waiting staff using the space between our table and the bar area as a common area on discussing tables/customers/gossip and therefore forcing us to listen to their conversations. Completely unprofessional and responsibility of this (and the drinks incident) lies with the management. 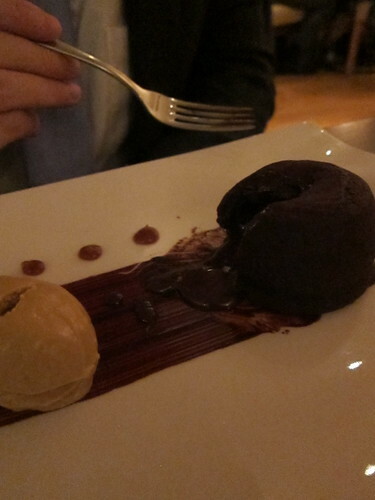 I'm not holding out for much since one of the managers (female) did not acknowledge me when she was taking our dessert orders (I wasn't wearing a suit and did not exude macho banker so didn't deserve to be acknowledged, perhaps?) and we faced the same old problem of not being able to get the bill promptly (despite another managerial head being close by, he did not make eye contact and ignored us 2-3 times whilst passing our table). Asador should do well with its D4 location but there are other restos I would choose to dine again at in the city before I consider a return visit. 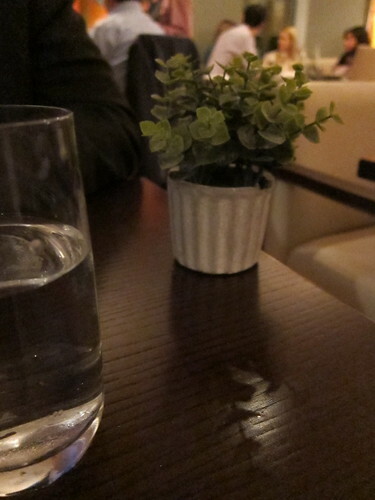 A parting gift - one of the "manager types" plonked this down on our table after our main courses were cleared.....why? ?